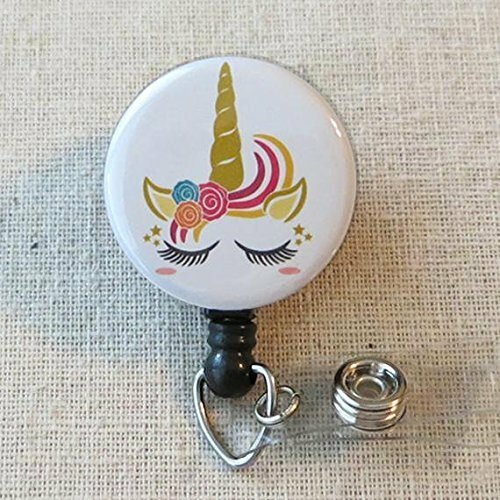 A special way to recognize graduation or starting a new job or to just brighten up the same job with this cute unicorn ID Badge Reel! 1.25" button is covered in plastic mylar (simply wipes clean) and attached to a retractable badge reel. If you have any questions about this product by Scrapheart Gifts, contact us by completing and submitting the form below. If you are looking for a specif part number, please include it with your message.